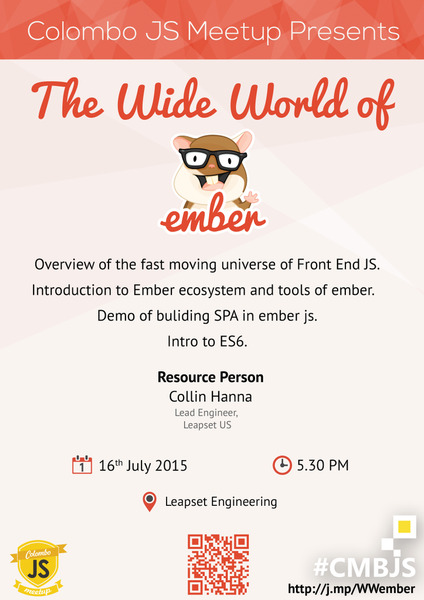 “The Wide World of Ember” was the first meetup that I participated after becoming a member in Colombo JS Meetup group. Collin and Evans from US presented this session to all the participants. 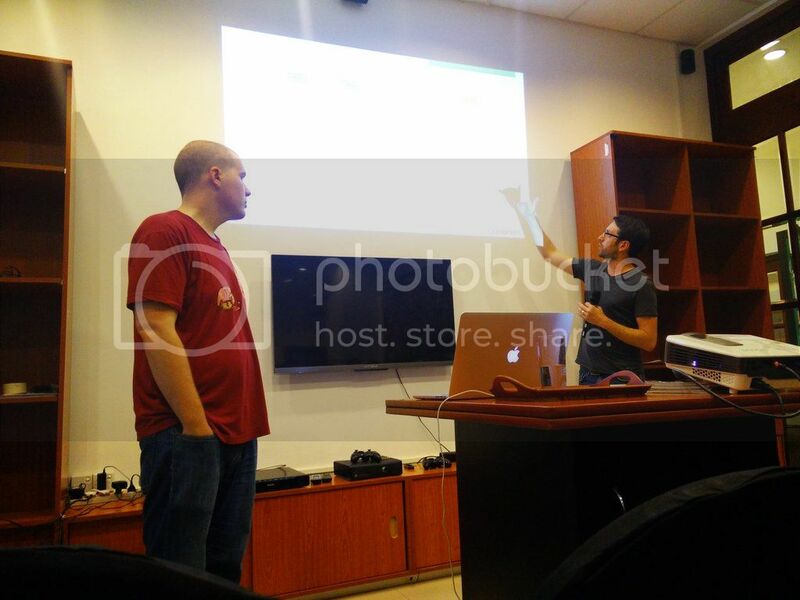 There were many things new to learn in this meetup. It was worth having a visit to this which was arranged in the Leapset Engineering Center because there were many things relevant to the web application that we are currently building at office. I look forward to implement EmberJS to my applications as soon as possible and experiment on them to explore possibilities. The topics that was covered in that session. Overview of the fast moving universe of Front End JS. Introduction to Ember ecosystem and tools of ember. Demo of buliding SPA in ember js. 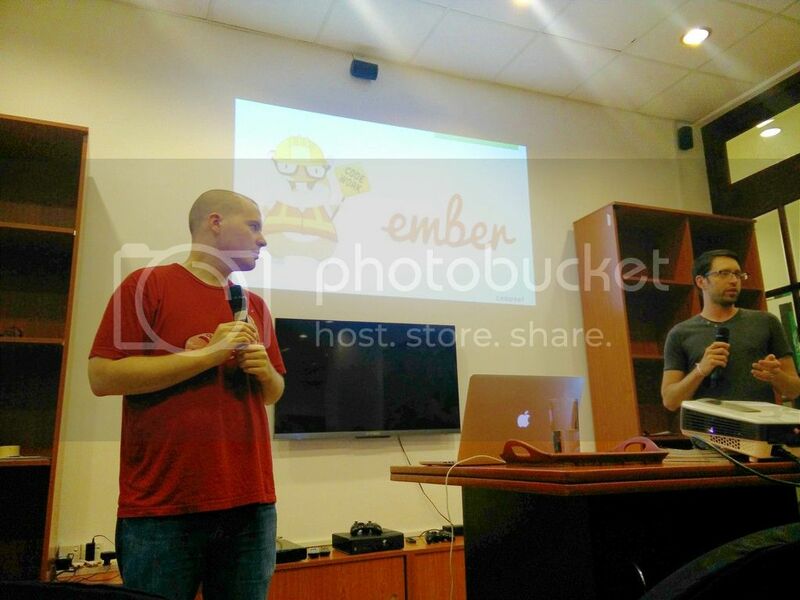 Here are some of the clicks took during the meetup while Collin and Evan presenting EmberJS.